A GreenHeat Technology patent is used in ALL Powerblanket® products to provide energy efficiency across the entire surface of the heater–there are NO COLD SPOTS! Powerblanket engineers have designed a long-lasting and low-cost outdoor blanket heater by using weatherproof materials like UV-stabilized vinyl materials, welded seams, and modern heating technologies that can handle extremely cold outdoor environments. Custom heating blankets are available with 2 to 4 week lead times. Lead times are dependent on the current production demands at the time the order is placed. Rush lead times can also be provided with an additional 15% surcharge. Call Jobco at 479-424-1300 now to order a stock or custom PowerBlanket heater. If you need to heat, thaw, cure, insulate, or protect your cold sensitive materials, then a Powerblanket heater is the right choice for these (and many other) heating projects: Automobile Engine Blankets, Barrel Heaters, Battery Blankets, Concrete Curing, Ground Thawing, Hot Boxes, Pail Heaters, Pipe Heater Wraps, and Tote Heaters. Call JobcoSupply.com today to get your PowerBlanket heaters at 479-424-1300. Why buy a PowerBlanket Heater? Stop fooling around with precarious heating belts or difficult immersion heaters. 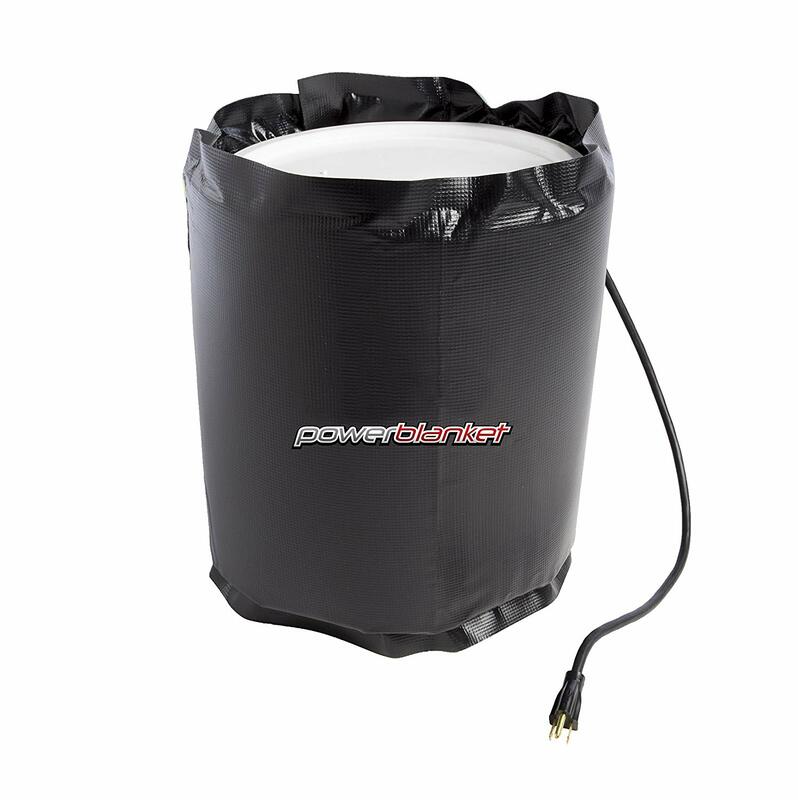 Powerblanket tote heaters can be used for more than warming DEF (Diesel Exhaust Fluid) totes. With their patented GreenHeat technology, the ENTIRE surface of the tote heater blanket has uniform heat distribution, so these heaters can provide insulation for any IBC (intermediate bulk container) tote used for other temperature sensitive materials, like chemicals, water, petroleum, and food products. 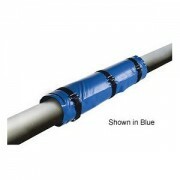 PowerBlanket heaters can provide freeze protection for pump housings, hoses, nozzles, and drums, too. Why Do Our Customers Love PowerBlanket Tote Heaters? Freeze Protection to -40 deg F/-40 deg C • UL/CSA/ETL Certified – U.S.A.
PowerBlanket Ground Thawing blankets have been found to defrost the ground an average of 12 to 18 inches per 24 hours. This average depth of defrosting where the ground is being heated will ALWAYS be variable due to factors such as these: outside/ambient temperature, sun/shade conditions, wind speeds, soil type, frost level depth at the time of use, and if the snow is or isn’t removed before laying down the blanket. For example, clay soil is more compacted, so it takes longer to thaw than a sand type of soil. During a -15 degree F Utah winter with low 20 to 30 mph winds, a PowerBlanket product defrosted the ground at a rate of 18 inches per 24 hours. Custom PowerBlankets are available with 2 to 4 week lead times. Lead times are dependent on the current production demands at the time the order is placed. Rush lead times can also be provided with an additional 15% surcharge. Call Jobco at 479-424-1300 now to order a stock or custom PowerBlanket heater. Why Do People Buy Propane and Gas Tank Warmers? https://jobcosupply.com/wp-content/uploads/2013/04/powerblanket.jpg 80 303 Jennifer http://jobcosupply.com/wp-content/uploads/2015/05/jobcologo.png Jennifer2015-07-12 17:06:352015-07-12 17:06:35Why Do People Buy Propane and Gas Tank Warmers? What are you looking for–Drum Heaters, Barrel Heaters, or Pail Heaters? https://jobcosupply.com/wp-content/uploads/2015/06/PowerBlanket-Drum-Heater.jpg 110 90 Jennifer http://jobcosupply.com/wp-content/uploads/2015/05/jobcologo.png Jennifer2015-07-12 16:58:072015-07-12 16:58:07What are you looking for–Drum Heaters, Barrel Heaters, or Pail Heaters?